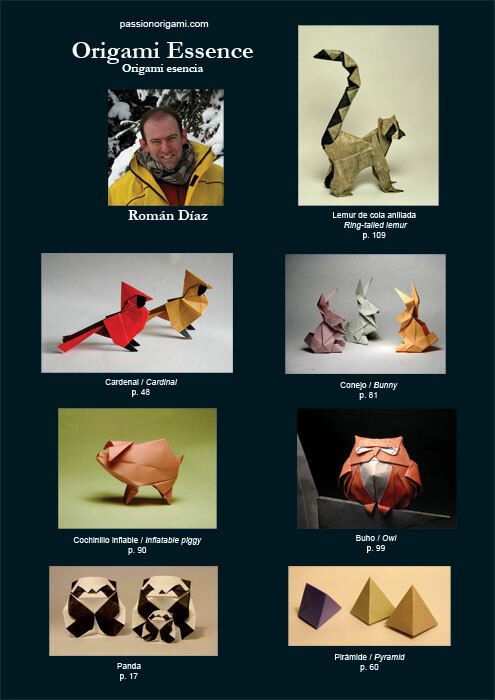 Découvrez l'essence même de l'origami en suivant, étape par étape, les instructions claires et détaillées de ce livre et pliez les plus beaux modèles du célèbre artiste Román Díaz. Le livre comprend 34 modèles de tous niveaux, du plus simple au plus complexe. 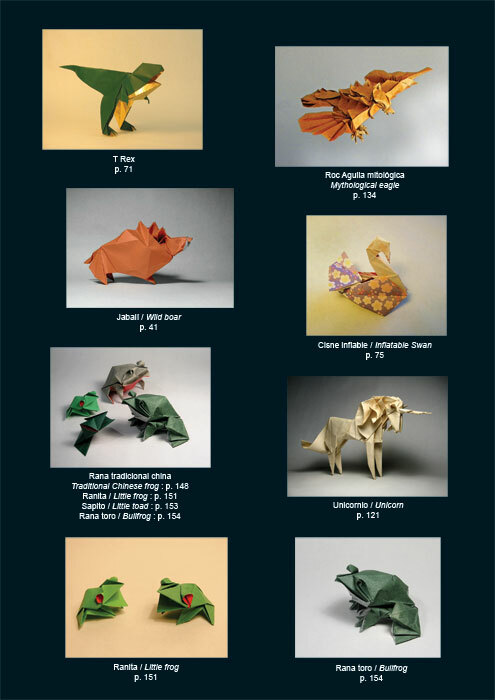 Apprenez à plier la grenouille taureau, le renard et la licorne, et laissez vous surprendre par l'origami gonflable. Découvrez des splendides créations animales reprenant l'esprit de cet art ancestral à travers les techniques élégantes et modernes de Roman Diaz. *Version PDF du livre de 54 Mo, pouvant être visualisée à l'aide du logiciel gratuit Adobe Acrobat Reader. Un lien pour télécharger le fichier PDF vous sera envoyé au plus tôt, le plus souvent dans la journée, dès réception de votre paiement. I'm really enjoying this book. Which is good because I found #2 to be really disappointing (don't bu... (Lire la suite)y #2, just skip it). This is great return to form for this series. This book is excellent. The models vary in complexity, from simple fish to the complex Roc (eagle), ... (Lire la suite)but I did not find any difficult. They all are very well designed and look great. 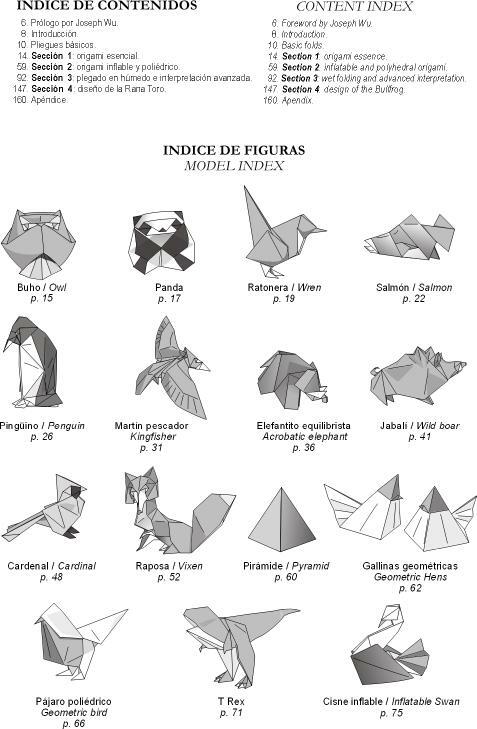 My favourite models are the lemur, vixen, owl, unicorn and the Roc. There is also an article on designing the bullfrog, which is very interesting. Perfecto! Tal y como lo esperaba. I downloaded a photocopied (probably illegitimate) version of this book before purchasing the book f... (Lire la suite)rom this site. No origami book has given me as much pleasure as this one. The instructions are clear and results are impressive. I go back over and over to make various models for other people for gifts or when they ask me to make something. The ring tail lemur is one of the cutest models I've ever folded in my opinion. 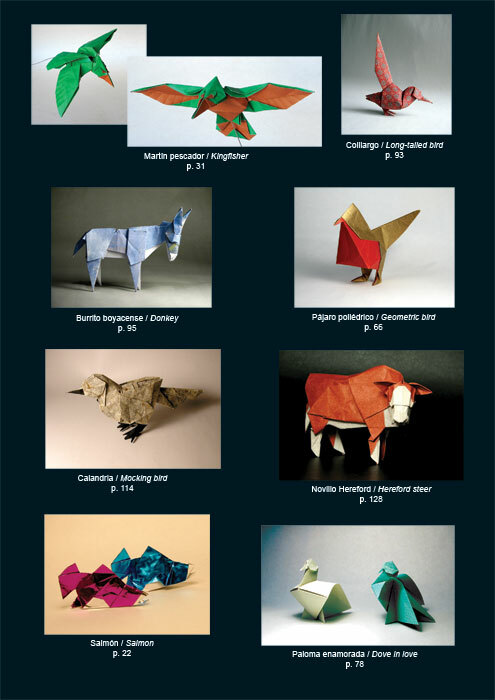 If you're looking for a gift for an origami enthusiast, this is one they would appreciate. There are some low intermediate models in here that are really cool for someone who has some experience and is motivated to advance their skills. Les modèles sont superbes et îl y en a pour tous les niveaux. Merci à votre Maître Origami qui a été d'un conseil précieux. A very good book with incredible models by Román Díaz. It was a gift for my friend. Beautiful book, with nice pictures. I also appreciate the PDF file vers... (Lire la suite)ion. Book has lots of good models in it, one of my favourite books. I know I can pull out this book and ... (Lire la suite)want to fold something. Some are simple yet beautiful, others are challenging and look so good. My goal is to fold everything in it! This is a great book! I am a little more than halfway through and so far the diagrams are very clear... (Lire la suite). What really pleases me about it is that even the (seemingly) simpler models that take a smaller number of steps to fold incorporate some really interesting ideas and folding sequences/maneuvers. This is especially nice when time for folding is limited and I still want to fold something that is going to challenge me in some way.I also love the fact that for each model, the book provides pretty much all the meta information you could ask for: crease pattern; recommended type, size, and color of paper; recommended folding technique (dry vs wet folding); estimated level of difficulty; ratio (size of finished model as a percentage of paper size); color photo of finished model. In terms of things I have learned from folding the models in this book, there are two folding maneuvers this book really helped me practise: "pull out some trapped paper" and "wrap around a layer of paper". I used to dread these! :) --- Summing up, I highly recommend this book to anyone who is not a total beginner! And if you are planning on getting the print version of this book and can afford it, do spend the extra money (~1.50 euros) for the PDF version: If you really do get stuck at some point, being able to zoom in (and out) can help sometimes. Satisfait vraiment du beau travail de pro. Merci ! Was after this book for a long time. It arrived quickly and with a nice sample pack of papers. 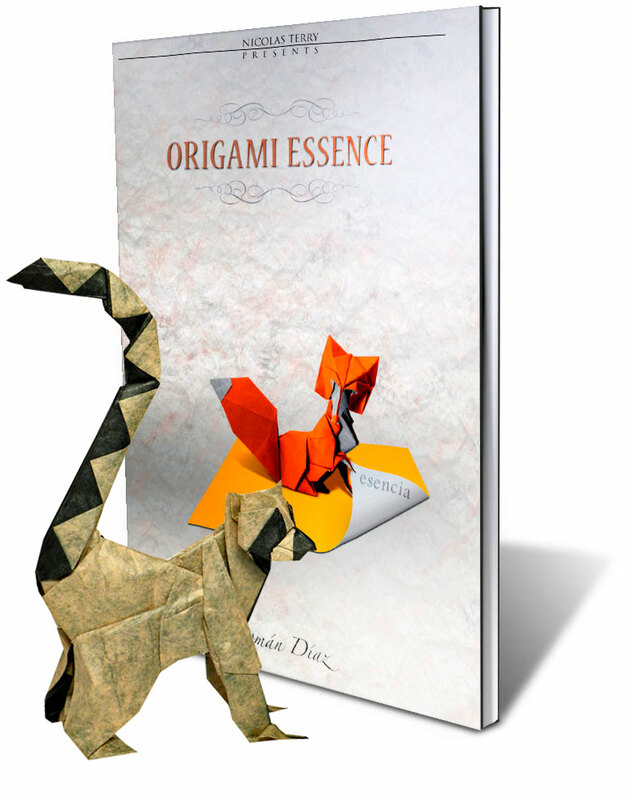 It ha... (Lire la suite)s quickly become one of my favourite all time origami books. Will certainly use this site again! Many thanks. Das Buch ist wunderbar, die Anleitungen gut verständlich, auch wenn man noch nicht so versiert ist.... (Lire la suite) Die Darstellungen sind besonders klar und auch die Bilder der fertigen Modelle finde ich zauberhaft. This is amazing book with wounderful and good pictured diagrams. Really an outstanding book, with excellent diagrams, very clear and easy to follow, presenting fanta... (Lire la suite)stic models which not only give beautiful results but are really pleasant to fold. Un très bon livre avec des modèles du plus simple au plus complexe et de différents types. cepend... (Lire la suite)ant c'est dommage qu'il n'y ait pas plus d'explication pour l'utilisation de la MC . I loved this book. The pictures were very high quality. Instructions were clear and easy to follow... (Lire la suite) and the models turned out great. Excellent livre. Diagrammes clairs. Il manquerait des gros plans sur certains modèles ou au moins d... (Lire la suite)'autres points de vue photographiques, ceci pour s'imprégner plus aisément du travail des maîtres origamistes. This is a wonderful book. The quality of the print is splendid & the design is very good. The direc... (Lire la suite)tions are organized well and are very clear. Each model has a preview recommending which is the best paper to use & what will be the size of the model. The models are beautiful, which is essential. What else is there to say about this book? Roman Diaz is an amazing creator and this book is filled ... (Lire la suite)with some of the most elegant and classy models I've had the pleasure of folding. The diagrams are clear and very easy to follow and the folding sequences bring the utmost of joy. Once complete, the models are simply fantastic! This book really is perfect. Some very elegant and challenging models to be found here - an excellent addition to the series. A very good book. The models range from charming to some of the best I have ever folded. Das Buch ist einfach nur super.Bilder sind verständlich und die Figuren sind einfach sehr gut nachz... (Lire la suite)ubauen. Ich kann dieses Buch nur empfehlen. Roman's second book. I really wish more books by him. All of his models are very elegant and beauti... (Lire la suite)ful. Folding sequence is incredible. As all books printed by origami-shop, the quality of the diagrams is extremely high! This book is a must have! 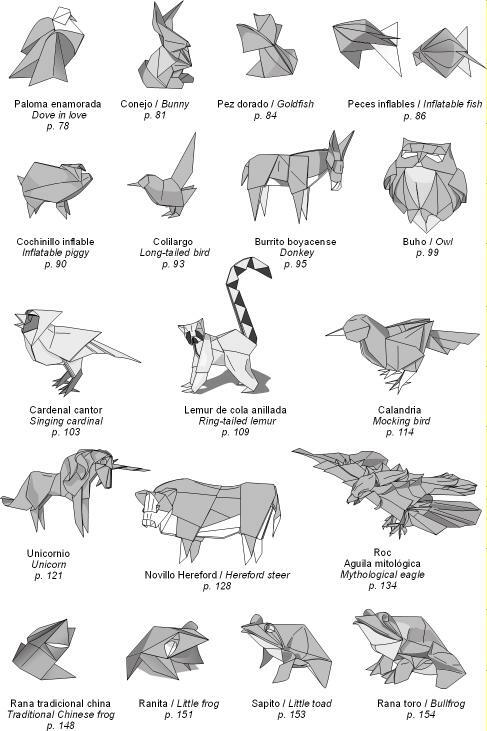 Also one of my favourite books, just because of the Ring-tailed lemur, the Singing cardinal and the ... (Lire la suite)Mocking bird, the folding sequences of the models from Román Diaz are a pleasure to follow. Use self made tissue-foil paper in the right colours to bring those three models to life. Don't worry, the other models are also worth a try :), there's a bit of everything, from lifelike to abstract. Again a must have!!! Schneller Versand plus Testpapierbögen. Das Buch ist wirklich wunderschön designed und die Anleit... (Lire la suite)ung klar und verständlich. Freu mich schon darauf alle Modelle einmal ausprobiert zu haben. 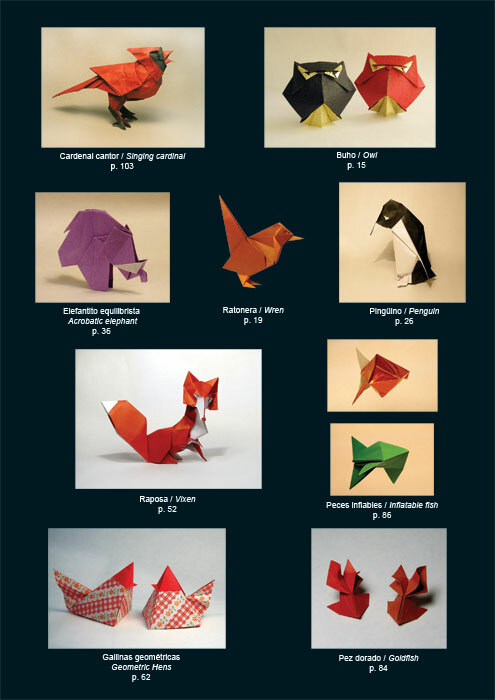 This is one of my favorite origami books. The vixen alone is one of the best folds and makes a very ... (Lire la suite)nice model. The Roc is impressive when folded but it is difficult. Start with as large a paper as you can get. The unicorn is beautiful when finished. Use thin paper. This book has plenty for the advanced folder. Un livre qui fera sans doute référence ! un must have rien que pour la qualité des modèles prés... (Lire la suite)ent dans cet ouvrage.La qualité du livre est excellente ! Diagrammes clairs, précis, des modèles variés pour le plus grand plaisir des plieurs ! i looooooooooooooooooooooooooooooooooooooooooooooooooooooooooooooooooooooooooooooooooooooooooooooooo... (Lire la suite)oooooooooooooooooooooooooooooooooooooooooooooooooooooooooooooooooooooooooooooooooooooooooooooooooooooooooooooooooooooooooooooooooooooooooooooooooooooooooooooooooooooooooooooooooooooooooooooooooooooooooooooooooooooooooove it !